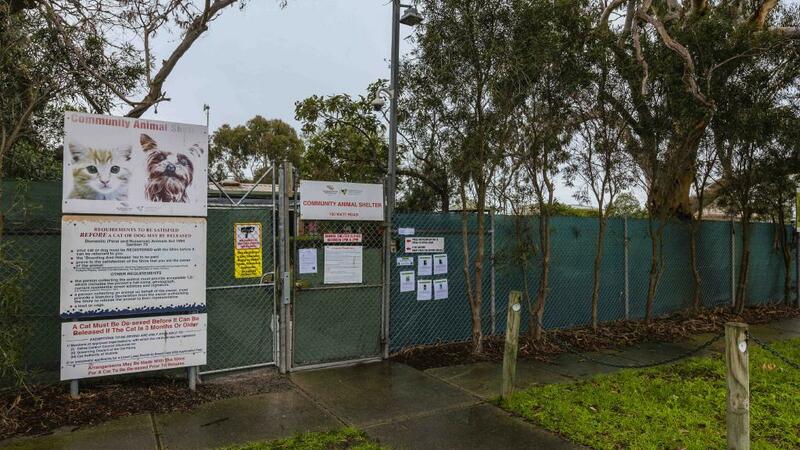 The group has been quoted $1108 for Mornington Peninsula Shire Council’s FoI officer to answer six detailed questions about the community animal shelter, in Watt Rd, Mornington. The shire wants half of the cost ($554) before starting a search for the information. What information are they asking for? 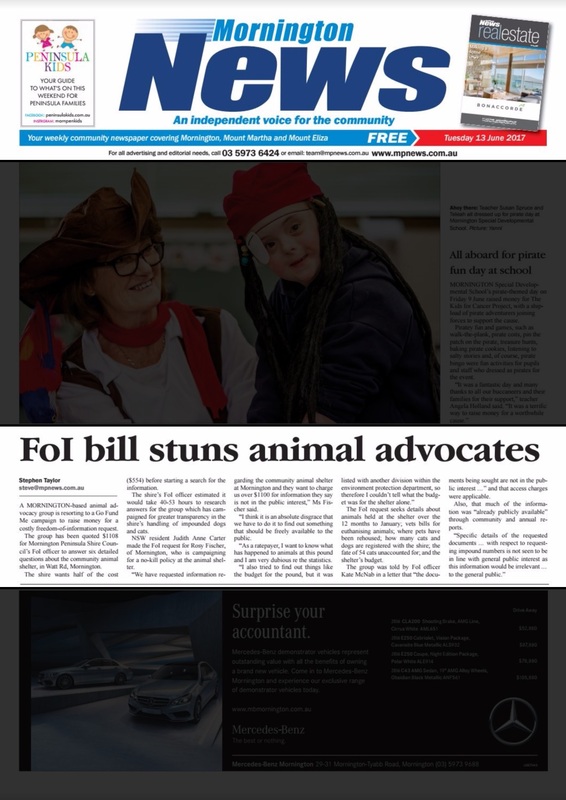 NSW resident Judith Anne Carter made the FoI request for Rosy Fischer, of Mornington, who is campaigning for a no-kill policy at the animal shelter. “We have requested information regarding the community animal shelter at Mornington and they want to charge us over $1100 for information they say is not in the public interest,” Ms Fischer said. “I think it is an absolute disgrace that we have to do it to find out something that should be freely available to the public. “As a ratepayer, I want to know what has happened to animals at this pound and I am very dubious re the statistics. The shire’s Freedom of Information officer estimated it would take 40-53 hours to research answers for the group. The group was told... in a letter that “the documents being sought are not in the public interest …” and that access charges were applicable. Please - if you're a reader of this blog you should know how important it is to show solidarity and support to those people advocating for pets at a local level in the community. If you can, please gift them a few bucks at the link below, so they can meet this ridiculous council-set target. If everyone who follows this page chipped in $10 - we'd have the money to give them the resources they need to stand up for the animals at what is arguably one of the worst performing pounds in Australia. Do it and feel good knowing you're helping pets who genuinely have no voice right now. They need our support.